Kent captain Tammy Beaumont says England can’t wait to get going ahead of Thursday’s ICC Women’s World T20 against India. The two sides will meet at 8pm local time at the Sir Viv Richards stadium in Antigua (12am GMT, Friday November 22) with a win securing passage to a second World Cup final in just over a year, this time round against Australia or hosts West Indies. A loss against the West Indies in England’s final group game saw Beaumont and her side finish second in the group stage and led some to question the side’s batting. But for Beaumont there’s no reason for her and her fellow batters to not be confident. “We have played some really good cricket but I think there’s more to come from us. We’ve only had one chance to bat first and we maybe haven’t scored the weight of runs yet that we would have liked to but that also means we’ve got a chance to go out there and really nail it with the bat. The other semi-final sees Australia take on West Indies and there have been suggestions that England’s route to the final is potentially the simpler one, but that’s a suggestion Beaumont refutes. “I don’t think you can say that at all. It will be a very difficult match,” she said. “India are a side we know really well. We played them in a tri-series in April and we know how dangerous they can be. Their bowlers are very effective and they’ve been one of the most in-form teams in this tournament. 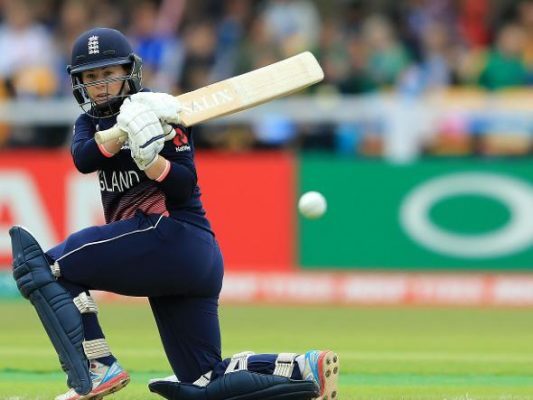 The Kent and Southern Vipers opener will be one of nine players in the squad with experience of winning the ICC Women’s World Cup at Lord’s in 2017, but alongside them will be three new faces who have so far relished their first taste of the global stage. Sophia Dunkley, Kirstie Gordon and Linsey Smith were uncapped before this World T20 but each of them have impressed at various stages in the West Indies. Beaumont thinks their attitude is one that can be embraced by everyone on Thursday. “I’ve been so impressed by the three new faces. Sophia was brilliant in our last time and Kirstie has probably been our most threatening bowler. Linsey’s chipped in really well as well and what’s great is that we know they’ve got the attitude now to stand up and deliver when the pressure’s on. This entry was posted	on Wednesday, November 21st, 2018 at 10:30 am	and is filed under Cricket, Featured. You can follow any responses to this entry through the RSS 2.0 feed. Both comments and pings are currently closed.